We’re still the same great carpet cleaners you love and trust. For starters – our brand new logo! We have decided to go with a simpler, cleaner look which is memorable and still true to our brand. 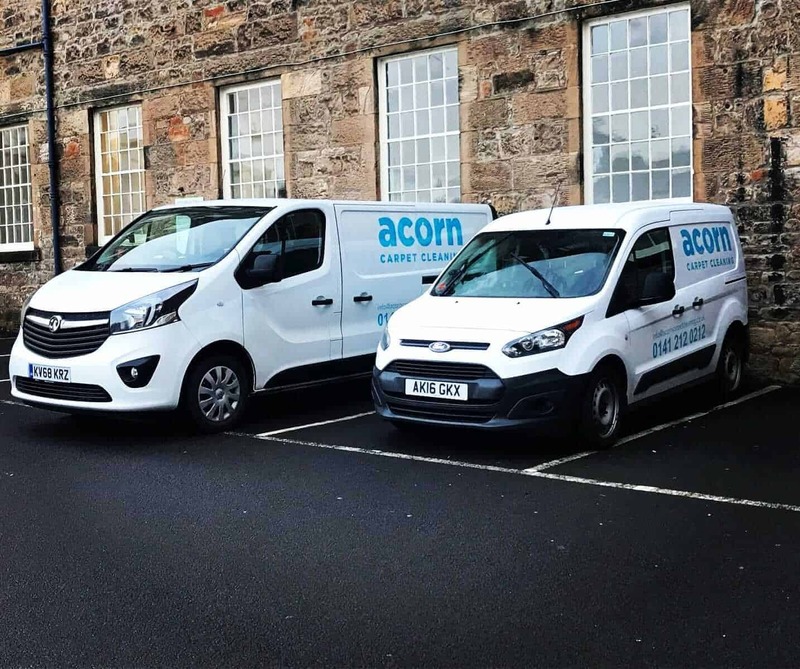 If you’re based in Glasgow, you may have spotted one of our vans passing by sporting the new logo. Another big change is our website. We noticed that a lot of our visitors were browsing the site from their mobiles and tablets. With the help of Soapbox Digital Media, we’ve now made it easier than ever for you to look through our website, whether you’re on a desktop or mobile device! You’re looking at one right now! Yes, that’s right. We’ve added a blog to our website. We will be regularly updating our blog with articles sharing cleaning tips, as well as important company updates. Watch this space if you want to stay up-to-date with the latest blog post or sign up to our newsletter. We’ve also recently started a company Instagram account, where we will be regularly posting before and after pictures. Follow us if you would like to see for yourself the fantastic results you can expect from our services. Still The Same Acorn Carpet Cleaning! We’ve come a long way since we started in 2015, and here we are – many rugs later and many more to come! Thank you to all who have supported us along the way and gave us your loyal custom. Our look may have changed, but we stand by our promise to deliver a great service and top-quality results.